Pop Up Power Supplies® provide outdoor power solutions for modern sports stadiums. 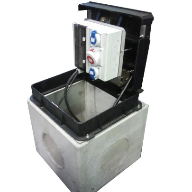 Pop Up Power Supplies® supply a range of innovative retractable power units which provide a safe and secure outdoor source of power, water and data. The last twenty years has seen a significant shift in focus when designing sports stadiums and arenas, which can be described two-fold. One change is a move away from early single-purpose stadiums, to multi-purpose venues which supports a more diverse event calendar. The second shift in focus relates to an increase in a focus on safety and comfort aspects for spectators. Designing stadiums for such a variety of purposes notably puts pressures and stresses on the operational maintenance of the stadium. 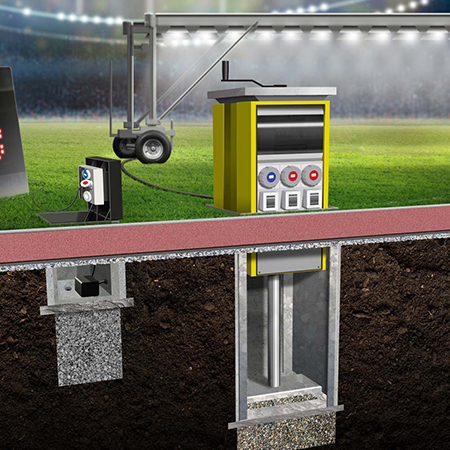 Pop Up Power Supplies’ range of pop up power units help to alleviate such pressures, as they are able to provide a reliable source of power and water in order to effectively maintain pitch surfaces. Their pop up power units and flip lid units provide an innovative power solution for stadiums when they host various entertainment events. The risk of electrocution has to be minimal and pedestrian access has to be clear as possible, to ensure public areas are safe and comfortable for people. 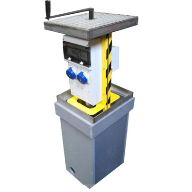 The retractable nature of their power units means they can be raised from the ground and lowered back again with minimal effort, ensuring walkways are clear and free from any form of tripping hazard or risk of electrocution. Pop up power units are ideal for such food services as they can be raised from the ground when needed, and when match days or entertainment events are over, they are simply lowered back into the ground until next time. In the future sports stadiums will continue to be built in city centre locations, becoming a part of community regeneration. 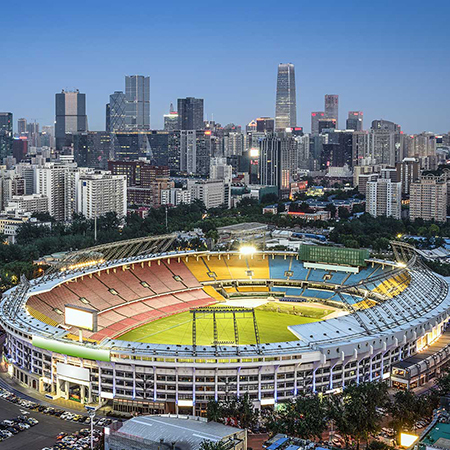 Stadiums are likely to combine with community buildings/projects such as hotels, retail premises, park areas, leisure facilities, commercial units and residential buildings. Such mixed-use developments are usually connected by outdoor areas or concourses. Architects, developers, and electrical engineers greatly consider public safety when designing external power supplies for outdoor spaces. 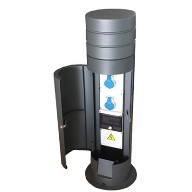 Pop Up Power Supplies® supply a range of innovative retractable service units that provide a reliable and effective power supply for outdoor spaces and events, ideal for such developments. Pop Up Power Supplies work with the UK’s leading contractors, architects, civil engineers, electrical engineers and other industry professionals creating bespoke outdoor power solutions for their sports stadium projects.